Points of interest: Pieve di San Giovanni (founded between the 8th-9th century, extended in 1400 and renovated in 2008) in the hamlet of San Giovanni; Santa Giuliana Church (founded in 1237 and rebuilt in 1519) and the Austro Hungarian War cemetery 1914-1918 reachable from Strada de Sènt’Uiana in Vigo; San Nicolò Church (founded in 1443) in the square Piaza de Sèn Nicolò in Pozza; Santa Maria AusiliatriceChurch (founded in 1957) in Strada de la Madona de l’aiut in Pozza; San Lorenzo Church (founded in 1603) and Santa Giuliana Chapel (1573) in Strada Tita Piaz, Pera; the Ladin Museum (2001), in the hamlet of San Giovanni; "L Molin de Pezol" old watermill in Strada Jumela and "L Malghier" by the local dairy, both set in Pera and both separated sections of the Ladin Museum; the "Torn", defensive tower of the 17th century in Strada de la Torn in Pozza; thermal water spring in Strada di Bagnes in Pozza; the ancient hamlets of Larzonei, Vallonga, Tamion, Monzon and Ronch ; Via Crucis from Pera to Monzon along the "Troi de le stazion". Events: Entorn Vich, food and wine tasting evenings accompanied by live music through the lanes of the centre of Vigo throughout July and August; the activities of the Ladin Museum, many activities both for adults and children; "Prejepies sui Festii", nativity scene exhibition on the fountains of Vigo, from mid-December to 6th January; Festa ta Mont, event celebrating the epic myths and legends of the "Realm of Fanes" with theatrical folk shows in the San Nicolò Valley in August; A spas co la Mùsega, when Strada Meida is transformed into a cosy stage for music bands; Alpine Ski European Cup, in mid-December the "Ski Stadium Val di Fassa" is the hub of male and female alpine skiing trails; Carnival, with its fancy dress parades along the town streets. On 1st January 2018, the municipality the Sèn Jan di Fassa was born, from the administrative union between the villages of Pozza and Vigo. Its name comes from the area where the ancient Pieve di Fassa is set, in the centre of the valley. Vigo di Fassa. 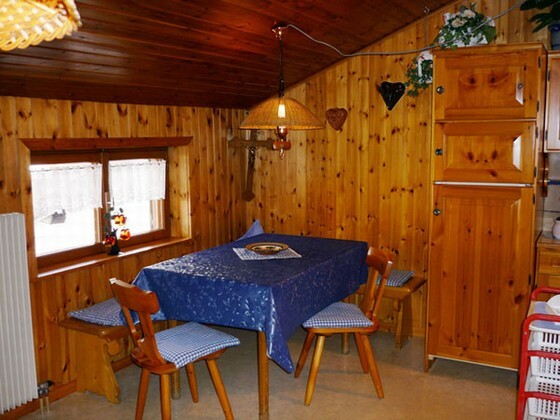 Located in a privileged, high and sunny position, Vigo di Fassa dominates the whole valley. Thanks to is central position, favourable for the connection with the north, Vigo has been the administrative and religious headquarter of the valley for a long time, with the foundation of the Pieve di Fassa and the institution of the Masseria di Corte during the reign of the Longobards. Even if almost destroyed by a fire in 1921, the village maintains its typical rural aspect. Up on the hill, at the border with the wood, the sacred church of Santa Giuliana watches over the village. A small hamlet over Vigo still maintains its ancient charm. It’s Tamion, set in a wonderful panoramic position, where the return to natural rhythms and ancient traditions of agricultural life in the mountain is made possible. The Ladin Museum and the Ladin Cultural Institution have a fundamental role in preserving the Ladin tradition and spread it. 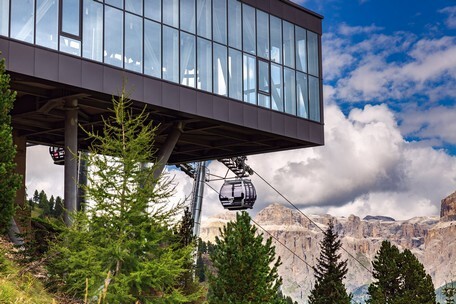 Thanks to a modern cable car it is possible to reach the Ciampedie valley (at 2,000 m) directly from the town, a spectacular natural terrace where to admire and embrace the Dolomites. Ciampedie is in summer the ideal point of departure for hiking and climbing in the Catinaccio group, King Laurin’s reign; in winter it is the heart of the Catinaccio ski area, from which it is possible to rush like the great Italian ski champions, down along crazy slopes, perfectly covered with snow. Ciampedie is also a paradise for children that can have fun in the open air and in safety at the "Baby Park", an equipped playground, immersed in the nature, among games, colours and fun. On 2nd July 2017, Vigo di Fassa has been officially listed as one of the most beautiful villages in Italy "I Borghi più belli d’Italia". An important award received for the uniqueness of its hamlets. 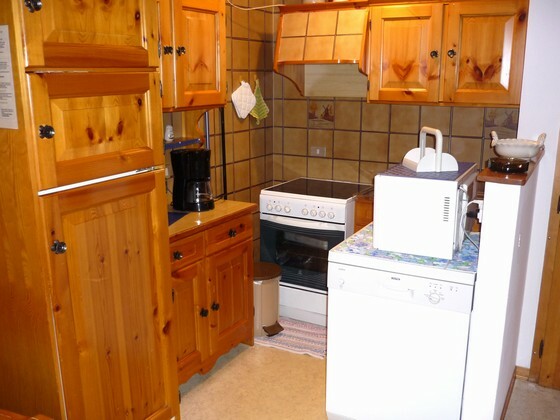 Pozza di Fassa. Pozza is located in the heart of Val di Fassa, surrounded by the Cima Undici and Cima Dodici, with a fantastic view on the Torri del Vajolet. Thanks to a sulphuric source situated at 1,320 m, unique in Trentino, the Terme Dolomia Spa, the QC Terme Dolomiti resort and the Aquapark Vidor are the ideal places for those who want to spend a healthy and relaxing holiday regenerating body and mind. 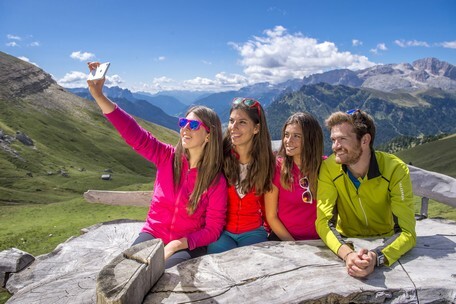 Pozza is the ideal place for those who love the Dolomites. In the wonderful Val San Nicolò, plenty of the typical mountain huts, the memory of the ancient agricultural life comes to the mind; famous in summer among climbers and walkers, it offers a great variety of excursions for the whole family, as well as a great number of high-altitude excursions, leading to Valle del Vajolet and Val Monzoni. In winter, Pozza gathers the passionate lovers of snow to the well-known Buffaure ski area, point of departure of one of the longest slopes in Val di Fassa, that directly leads down to the valley. 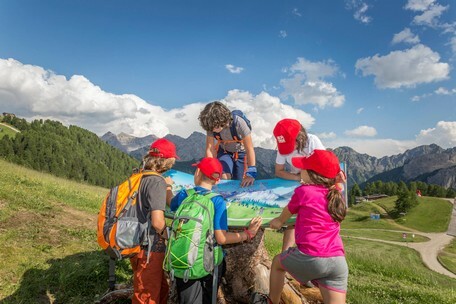 From the cabins of the panoramic Buffaure lift one can enjoy a 360° view on the Catinaccio, the Latemar, the Sassolungo group and the Monzoni, becoming red at sunset, and the view opens over the silent wizardry of Val San Nicolò and the white lands of Val Giumela. Thanks to the direct link to the Ciampac ski area, the Buffaure is closer to the Belvedere ski area than ever, in fact, one can ski down to Alba di Canazei and reach the starting point of the Sellaronda, Canazei, in a few minutes by the funifor "Alba-Col dei Rossi". The Ski Stadium Aloch, lighted at night, is open for night skiing and hosts important international competition and the training of the Italian Ski Team. The Ciancoal cross-country rink, characteristic for its rhythm change, is the ideal place to practice and relax in the nature, far from the hustle and bustle of the city life. Pera di Fassa. 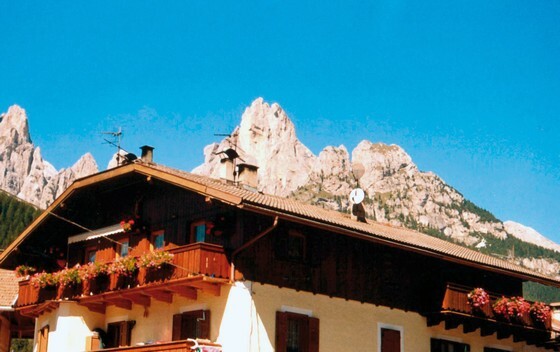 One km far from Pozza, there is the hamlet of Pera di Fassa, birthplace of Tita Piaz, the first alpinist nicknamed as "The Devil of the Dolomites", because people considered him related to the devil for his extraordinary challenges accomplished around the Rosengarten and on the Vajolet towers. In the centre of the hamlet, the ancient hotel Rizzi welcomes its guests: an old building, protected by the Fine Arts, that has hosted princes, kings and important personalities.